We believe getting kids involved in the arts at an early age is essential since it has a lasting impact on their confidence, happiness, and creativity. It gives them a voice, a sense of self-worth, and powerful memories! You know what they say: Perform for kids, and they’ll enjoy it for a night, but teach kids to perform, and they’ll enjoy it for a lifetime. FOGG Playhouse’s mission is to empower Bay Area youth with invaluable skills like self-expression, self-confidence, self-awareness, public speaking, and problem solving. We believe that given the right opportunities to achieve these attributes, vis-à-vis engaging classes and performances opportunities, youth will flourish academically, socially, and artistically. By learning about our Bay Area community through stories, and by telling their own stories, we believe our students will feel a sense of belonging and purpose. We hope all FOGG Playhouse experiences set the stage for the cultivation of our future leaders and community-builders. FOGG Playhouse seeks to eventually expand its programs to include English language learners as well as youth facing learning and behavioral differences. Research shows that by providing a unique method of self-expression through music, dance, and theatre, students often transcend language and learning challenges to shine on a completely new level. FOGG Playhouse was founded February 2013, when it began its pilot program at the Telegraph Hill Neighborhood Center (Tel-Hi) in North Beach, San Francisco, serving youth ages K-5th grade in singing, dancing, and acting instruction. Over the past several years, FOGG Playhouse has expanded to offer summer camps and full-scale youth productions that are specifically written for kids and performed by kids. We partner with existing community organizations to tell our stories, and have have worked directly with over 650 students city-wide, reaching another 575 more youth and their families through our youth performances. In Spring of 2017, we produced our third full-scale youth musical, an original piece by our Artistic Director, Tony Asaro entitled Flocked Together: The Green Parrots of Telegraph Hill. Aimée is a working actor, singer, and voice-over artist, living in San Francisco. She has performed in dozens of plays and musicals on both coasts and abroad, as well as numerous films, tv shows, and video games including Spiderman 3, CSI, NBC’s Trauma, Back to the Future (video game), and Nickelodeon’s Drake and Josh. 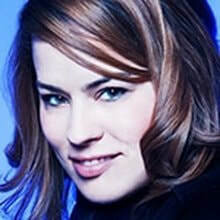 She served as a Creative Producer for the SF/LA/Boston women’s theatre company, erinys productions, for which she produced and starred in the Los Angeles premiere of Anthony Minghella’s all-female play, “Whale Music”, benefiting City of Hope’s Breast Cancer Research Center. She is a founding member of the Academy Repertory Company, in which she and a dozen other singing actors workshopped new musicals for the Academy for New Musical Theatre in Los Angeles. 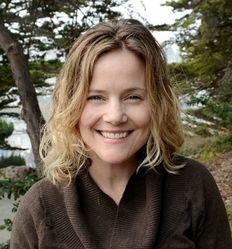 Following her homecoming to the Bay Area in 2006, Aimee made her directing debut in at Brava Theatre Center in San Francisco with “Birth”, a docu-drama of women’s birth stories, penned by Karen Brody. Aimee has worked behind the scenes in education and youth theatre since college, as teaching assistant (ACT’s Young Conservatory, Oddfellows Playhouse), youth camp musical director (CYP Youth Theater), children’s playwright, private coach, career mentor, and touring elementary school performer (LA’s Imagination Central). Aimee holds a BA in Theatre Arts and Latin American Studies from Wesleyan University, CT.
Tony received his undergraduate degree from Santa Clara University in 1998 in Theatre and Music, and later received his Masters Degree in Musical Theatre Writing from the Graduate Musical Theatre Writing Program at NYU: Tisch School of the Arts. In 2008, he was honored with the Anna Sosenko Assist Trust Award for songwriting. In 2011, he was a Resident Artist in American Lyric Theater’s Composer Librettist Development Program. An accomplished teacher of many subjects, Tony has taught lyric writing at NYU and through the Johnny Mercer Foundation in New York City, as well as private voice in the NYC area. He currently teaches musical theatre voice, songwriting, musical theatre history, and musical theatre acting at Santa Clara University. Cary returned to the Bay Area after nearly a decade in New York City working in the theatre. As Director of New Works for the CAP21 Theatre Company in New York, she established a nationally recognized program for developing new plays and new musicals. 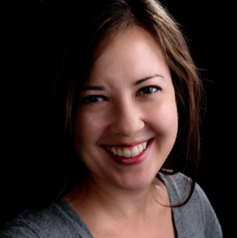 Carey is a teaching artist with New Conservatory Theatre, Montalvo Arts Center and Playful People Productions. She also operates a private voice and drama studio. Carey trained at New York University’s Tisch School of the Arts and is a graduate of the International Theatre Workshop (Amsterdam, Netherlands). Tré is a fourth year student at San Francisco State University where he is studying Theatre Performance and Secondary Education. A recipient of the Clarence Miller Musical Theatre Scholarship, some of his most recent credits include CINDERELLA at African American Shakespeare Company and HAIR at San Francisco State University. Aside from his work in Musical Theatre, he has trained in comedic as well dramatic Improv and various forms of Physical Theatre. 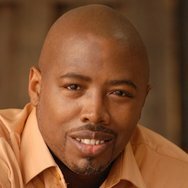 He has also worked as a teaching artist at Pied Piper Players in San Mateo and Christian Youth Theatre in San Diego. During his tenure with the company, Tré focused on creating a transformative curriculum that not only educated children on the fun that theatre is, but also helped to foster a passion for the arts within his students. Both of his parents being teachers, and Teacher of the Year award winners, he has had the opportunity to study with administrators from the San Diego Office of Education. Lyndsee is an emerging performer and vocal teacher from the Bay Area, where she received her BA in Theatre from San Francisco State University. Her recent credits include Olga in Chekhov's THREE SISTERS with Troupe Theatre Company and Ms. Pennywise in URINETOWN: THE MUSICAL at San Francisco State University. Recently she has been working as a Teaching Artist and Personal Vocal Instructor at Pied Piper Players in San Mateo. Lyndsee prides herself on her refined ability to use theatre and music to connect with people, especially those with special needs. She has had experience with working with autistic children and is constantly seeking opportunities to continue spreading theatre to different communities. Having such a great history of theatre in her life, she enjoys giving that same experience to younger generations. Ely Sonny Orquiza is a multidisciplinary Actor, Director and Teaching Artist based in San Francisco, Bay Area. He is a faculty at the American Conservatory Theater’s Young Conservatory with residencies in the Mission, SOMA and Tenderloin neighborhoods, and a teaching artist for the two-time Obie Award winning Magic Theatre facilitating new works through performance arts and community engagements, among others. Through theater and performance art, Orquiza explores the role of the Asian American Diaspora, Ancestral Ghosts, and the Politics of Queer/ness for the American Stage. He champions new works by Artists of Color, examines previously untold folklores, and advocates for undiscovered works highlighting multiethnic narratives. 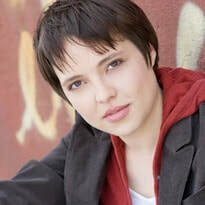 Orquiza has been in various work at the African-American Shakespeare Company, American Conservatory Theater, Bindlestiff Studio, Cal Performances, Campo Santo, Crowded Fire Theatre, Custom Made Theatre Co., Magic Theatre, New Conservatory Theatre Center, PianoFight, Playwright’s Foundation, Playwright’s Center of San Francisco, San Francisco Opera and Theatre Rhinoceros. 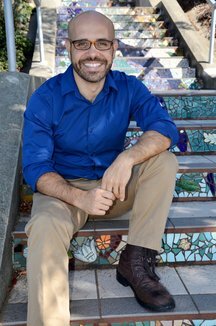 He is currently a Directing Fellow for PlayGround 2018-2019 at Berkeley Repertory Theater. He hold Bachelor’s Degree in Theater and Performance Studies from the University of California, Berkeley. Kristen Jones is an accomplished vocalist and performer and has become a well known director of children’s music and theater in the Bay Area. As co-founder of Presto! Interactive Opera, Ms Jones brings opera off the stage and into the community, creating interactive musical events throughout the Bay Area. She has taught and directed for the San Francisco Opera Guild, the Bay Area Shakespeare Festival, New Conservatory Theatre, Stern Grove, Grace Cathedral, and the San Francisco Maritime Museum Living History Program. As an accomplished vocalist she performs regularly with several local theaters, and she is currently a teaching artist for the San Francisco Opera Guild, the soloist for 9th Church of Christ, Scientist, and a founding member of The Century Sisters, a vintage vocal trio. 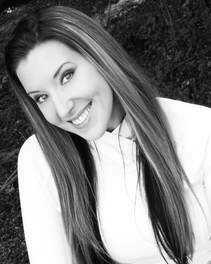 Kristen has her Bachelor of Arts degree from Principia College in vocal performance. Kaitlin is a GRAMMY-nominated musician, singer, songwriter, performer, dancer, writer and educator. She is the founder of Alphabet Rockers, a multi-media hip hop music educational company for early elementary school learning, based in Emeryville, CA. A Harvard University Graduate in Afro-American Studies, Kaitlin has designed CDs, assemblies, curriculum, programs, and an iPhone app for the Alphabet Rockers, and is currently producing the video series. 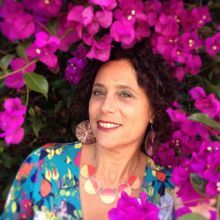 Passionate for the alignment of music and movement with the Common Core, she is a featured presenter at kindergarten conferences on arts-integrated learning and teaching artist in classrooms around the Bay Area. Along with co-writer Tommy Shepherd, Kaitlin has been commissioned to write songs for kids for fitness and wellness programs, in addition to adapting songs for theater, with the Go Girls! summer camp. 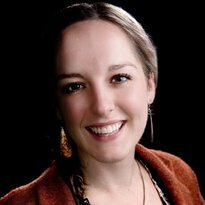 Kaitlin serves on the board of directors for the West Coast Songwriters. Prior to Alphabet Rockers and school-based programming, Kaitlin worked for the San Francisco GRAMMY organization, Blue Bear School of Music, and the San Francisco 49ers. She is a featured writer for Electronic Musician, and is finishing the manuscript for a music industry book. Learn more at www.alphabetrockers.com. Kerri is an actor, producer, and teaching artist. 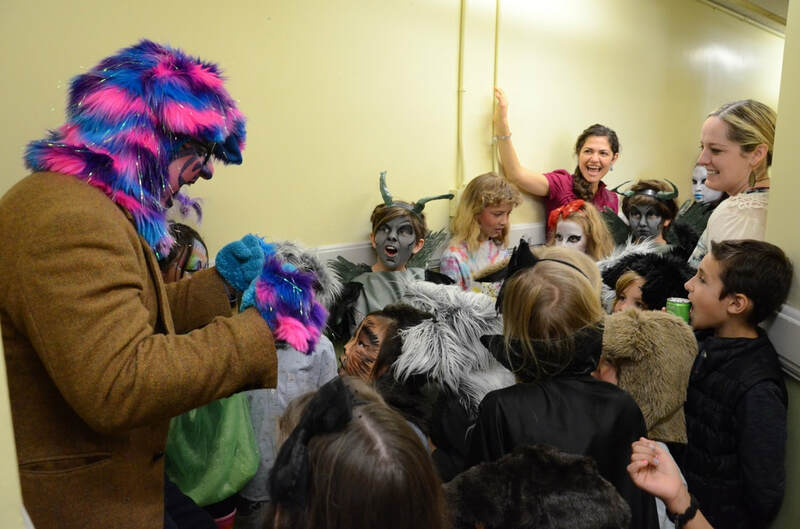 She loves to work with children of all ages and most recently, she assistant directed FOGG’s very first youth conservatory production, The Journey of the Noble Gnarble. She also developed the pre-show by working with the Exploratorium to create a fun and lively experience with a presentation from a bio technician about fish and lots of fishy give-aways for the young audience to enjoy. Kiki earned a certificate in applied positive psychology in September of 2015 and is extremely grateful for such a life-altering accomplishment. She plans to continue to develop her work using positive psychology in theatre through all of the incredible tools she learned in the positive psychology program. Kiki has a love for being both on and off stage and has appeared in many plays including The Wizard of Oz (Dorothy), Cabaret, Carousel, A Mid-Summer Night’s Dream (Hermia), Inherit the Wind (Rachel), and many more. Kari has been dancing, singing and performing professionally since the age of 9. Some of her favorite theatrical performances include: Patsy in Crazy for You, 42nd St., Wonderful Town (w/ Lucie Arnaz), Singin’ in The Rain (Musical Theatre West). She has also appeared on Young and the Restless and several music videos. Having taught children ages 2-15 for the past 10 years, in New York City, Los Angeles and now San Francisco, Kari is thrilled to be a part of the FOGG community. In New York, Kari headed two children’s art centers, focusing on music, dance and movement. Kari believes in creating a class environment where children may fully express themselves through their own unique spark, in whatever art form. Whether it is in hip-hop, ballet or acting class, there is always space for creative play, story-telling and improvisation. Helping the children navigate group, versus solo participation is also something Kari facilitates in her classes. She brings enthusiasm, flexibility and imagination to her classes. She received her BFA from New York University and is currently attending graduate school at California Institute of Integral Studies for Expressive Arts Therapy. Corinne is a theatre-maker, performer, and teaching artist. Prior to moving to the Bay Area, Corinne lived in New York City, where she taught acting and playwriting for organizations including the Stella Adler Studio of Acting, Opening Act New York, Oasis After School, and I Can Act! As a performer, she has appeared in world premieres by Adam Rapp (Bingo with the Indians, The Flea and Astroland, The Kitchen), Judith M. Smith (No Where Can Be Here Now, The Chocolate Factory), and artist Andrea Geyer (Comrades of Time, 2012 Whitney Biennial). She has also appeared under the direction of Steve Wangh, Tom Oppenheim, David Herskovits, Sherrine Azab, Meghan Finn (and others). As a theatre-maker, Corinne’s original work has received support from The Canadian Arts Council, Springboard Danse Montreal, The Harold Clurman Center for New Work in Movement and Dance, and the Orillia Opera House. She was the 2010 recipient of the Brooklyn Arts Exchange Space Grant, an artist in the 2011 Dixon Place HOT! Festival, and a director in Target Margin’s 2012 Lab Series. Corinne holds undergraduate degrees from New York University in English and Acting, having trained at Stella Adler and the Experimental Theatre Wing. She also recently received her MA in Philosophy and Religion from the California Institute of Integral Studies, where she concentrated specifically on Integral Ecology. Tommy is a GRAMMY-nominated musician, father, husband, actor, playwright, b-boy, rapper, drummer, and beatboxer. Tommy (aka Soulati) is one of the co-founders of the live hip hop band Felonious: onelovehiphop, who perform throughout the world and also and create original, theatrical productions, currently resident at Intersection for the Arts in San Francisco. Tommy works actively in local theater (Campo Santo, Intersection, and others) both as a composer and performer, and tours internationally with Marc Bamuthi Joseph in various works. He is also a member of the esteemed music group Antique, as well as the award-winning kids’ educational hip-hop group, Alphabet Rockers, for which he serves as co-composer and musical director. Rinabeth is happy to join the FOGG team in an offstage capacity. 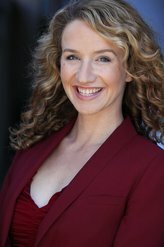 She is currently on the dance faculty of San Domenico High School and works as a teaching artist in the San Francisco/Bay Area and beyond, while maintaining a career as a full-time actor. You can typically find her teaching master classes at different bay area dance studios and choreographing for various musical theatre productions. Her theater workshops include all aspects of theater education, including acting, elements of technical design and theatre professionalism. Rinabeth is also a regular guest lecturer in and around northern and southern California high schools, colleges & universities where she facilitates “Intro to the Industry” Q&A sessions for students interested in a future in entertainment as well as lectures on Race & Gender Inequity in the Arts & Media. She has worked with East Bay Center for the Performing Arts, Berkeley Rep, Marin Theatre Company, San Jose Rep, San Jose Stage Company, TheatreWorks, Playwrights Foundation, Crowded Fire, TheatreFirst, Arizona Theatre Company, Skirball Center for the Performing Arts (New York), B Street Theatre Company, and East West Players (Los Angeles), among others and is a proud company member of Ferocious Lotus and PlayGround. Megan is a theatre artist and educator, who brings years of experience as choreographer, director, performer, and teacher to FOGG Youth Conservatory. 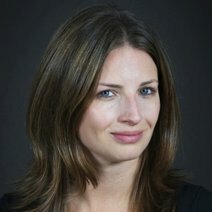 Ms. McGrath studied Directing at California State University- Fullerton. Her Bay Area acting credits include musicals at Pacific Coast Repertory (Fiddler on the Roof, Singin’ in the Rain) and Berkeley Playhouse (Peter Pan). 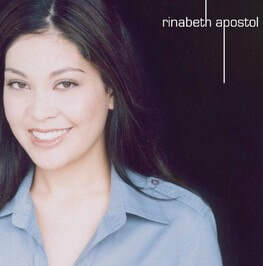 Currently, she teaches youth acting at New Conservatory Theatre, as well as, musical theatre with Berkeley Playhouse. She also has recently collaborated with Bay Area Children’s Theatre, Playful People Productions, Tri-Valley Repertory, and San Francisco Playhouse. Her recent choreography credits include: Eugene O’neill: Rhythms of his Soul, King & I, Seussical, and My Son Pinocchio, Jr. She resides in Oakland and is dedicated to the promotion and preservation of quality arts education. Alison is an award-winning Bay Area musician, educator, and theatrical composer. As lead singer and songwriter for The Sippy Cups, she scored several top-ten hits on Sirius/XM Kids Place Live, and toured the country many times. She performs regularly throughout the Bay Area with her band, and has released two albums of her own original music for families. Her albumWorld of Wonder has been adapted into a full-length stage musical, and she is a resident composer and playwriting mentor for StageWrite, a San Francisco non-profit, working with elementary school students to write and produce an original musical show each year at the Brava Theater. Alison is also the ECE music specialist at the JCCSF and PJCC preschools. www.alisonfaithlevy.com. Alison graduated from San Francisco State University with her BM in Classical Voice Performance. At SFSU she grasped a firm knowledge of vocal pedagogy, harmony, and rhythm. Since then she has lived in New York and the Bay Area performing in Musical Theatre and learned what it truly means to be a storyteller on stage. She loves making music with others and sharing this gift with her students. Alison currently has a vocal studio in the Bay where she teaches voice, acting and piano. She also performs, directs and produces new works.